During the last few months, listening to people who call our radio stations to contribute to the debate on the 6 November referendum, which will decide whether for the moment we will remain with the British Privy Council or choose to accede to the Caribbean Court of Justice (CCJ), there is the perception by some of them, who appear to be supporters of the NDC, that the main proponents for the Court have a hidden agenda. One such caller made statements that went like this: “Alexis, Ruggles Ferguson and Mitchell know the mental level of Grenadians, so they are trying to fool people.” Another referred to them as “self-serving special interest persons of a “treacherous and deceitful nature”. We need to deeply reflect on what is prompting this belief, that somehow as far as the referendum is concerned, some privileged Grenadians are out to take advantage of the low mental awareness of their fellow citizens. Indeed, these would believe that the Law Lords who have been advising Caribbean governments since the early 1990s to create their own final appellate court are part of this conspiracy. It is proving difficult to get them to believe that perhaps, unlike others, these top jurists realise, that by and large, the former colonies have grown up, and no longer need an appellate court provided by what used to be referred to as the Mother Country. Another perception by others is that while the CCJ may be relevant to Grenada in the future, there should not be in haste to be a part of it, that we needed more time to educate people about it, and in any case, we have more important issues to deal with. President of the Grenada Bar Association, Lisa Taylor, for instance, can’t understand why the present Mitchell administration is “running helter-skelter” into a referendum when there is the more pressing matter of finding buildings to house our courts. I don’t agree with these arguments from people like Miss Taylor. 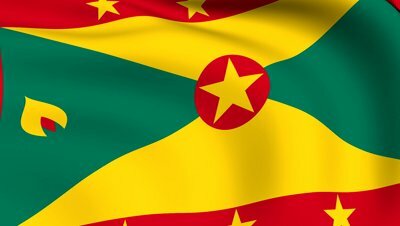 The fact is that while Grenadians were made to believe years ago that we had completely travelled the road from colonisation to complete national sovereignty, we have suddenly awakened to the fact that this is far from true, that we still have some more bitter struggles to undergo before we can celebrate complete national liberation. It would take very susceptible people, people who are not sufficiently public-spirited, people who are indifferent to our need for complete decolonisation, who are indifferent to our right to complete independence, who are criminally complacent as to whether we regress to the slave auction block, not to understand our present predicament, and therefore the present impatience of many of us. Furthermore, I don’t see that finding buildings to house our courts is necessarily more important than our accession to the CCJ. I cannot understand why these people at least cannot see that these two goals can be pursued at the same time, because in my view, at least, they are equally important. Jude Bernard, the ‘Exodus’ from the British Privy Council into the CCJ, will bring with it such a valuable positive psychological impact for the Grenada/ Caribbean person, that I will not quarrel with any Grenadian, who believes that it is more important for us at the moment, than finding a place to house our courts. We need to be impatient that as far as the Privy Council is concerned, we still have people doing for us what we can and ought to do for ourselves. We ought to be impatient about the fact that after every election, it is obligatory that our ministers and senators take an oath of allegiance to what is, in fact, an alien sovereign. I hear many people suggesting that we are completely politically independent because we are free to make our own laws and our political decisions, but how can a nation be completely free, when its people continue to take these oaths? Dr Eric Williams, one of the most profound minds of the 20th century, and one of our most eminent Caribbean nationalists had this to say about one of the fundamental things that Trinidad’s independence was about, when he addressed Trinidadians on Independence Day, 31 August 1962: “The Constitution itself, Independence itself represent the agreement of the two political parties on the fundamental question of national unity.” He also made the following statement about what genuine democracy should be about: “Democracy finally rests on a higher power than parliament. It rests on an informed and cultivated and alert public opinion. The members of parliament are only representatives of the citizens. They cannot represent apathy and indifference. They can play the part allotted to them only if they represent intelligence and public-spiritedness.” Our accession to the CCJ is an expansion of our democracy. As Hudson George has quite rightly noted, biased party politics has too often hindered our democratic process.